Need more than 10 units ? Are you a distributor ? Ask us for a personilized quote. 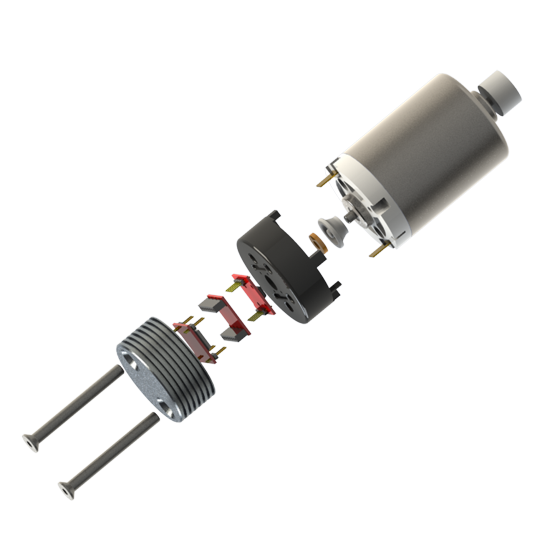 Seamless, hassle free integration to ANY DC motor up to 120W! After integration only four cables come out of the motor which can be controlled down to the last encoder tick! Includes 15bit absolute position encoder ! 5 to 24V, 5Amps continuous ! Multiple software interfaces: Stand alone application, MatLab dll, Arduino library and more ! The 01TM Supermodified for DC motors is a complete motion control module that consists of a DC motor controller and encoder. 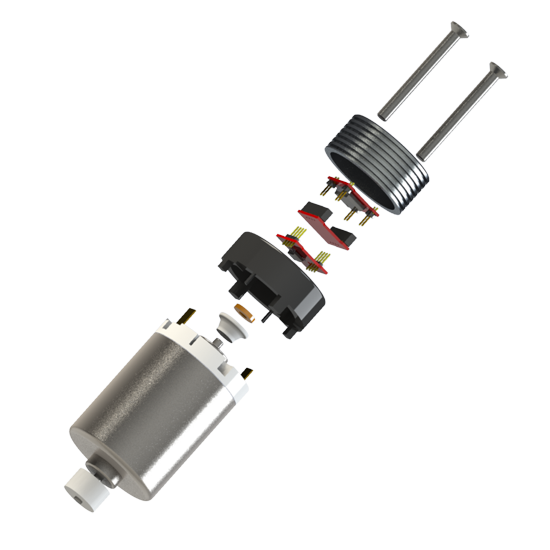 By using 01TM Mechatronics patented integration method the controller can be fitted at the back of ANY DC motor. The final outcome is a very elegant and tidy motor control solution. The only cables that go out of the motor's end are power supply and communication lines. 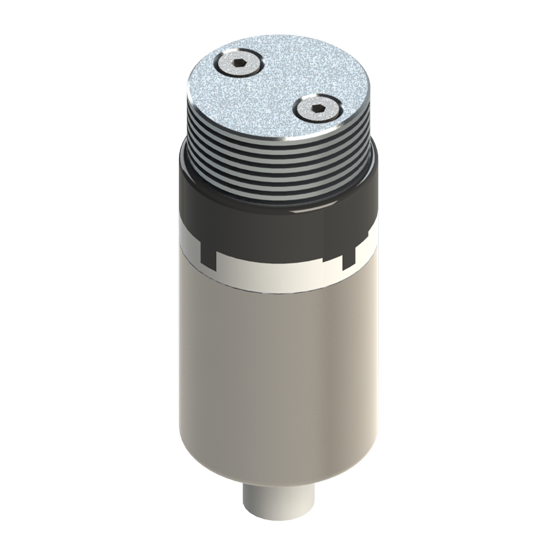 The magnetic absolute encoder provides an amazing resolution of 32768 ticks/revolution. The motor controller implements position and velocity profiles that are recalculated with every received setpoint. The module can be controlled by a PC or an embedded platform. APIs for popular software and embedded platforms are available for free and can be downloaded from our site. There is also a standalone application for this purpose. The 01TM Supermodified interfaces include Matlab, Microsoft .Net, Arduino. Development of a Rasberry and a LabView interface is under way. There is also the option to send us the motor and 01TM Mechatronics will integrate the sensor and controller for FREE.